Give your students a rock that floats! 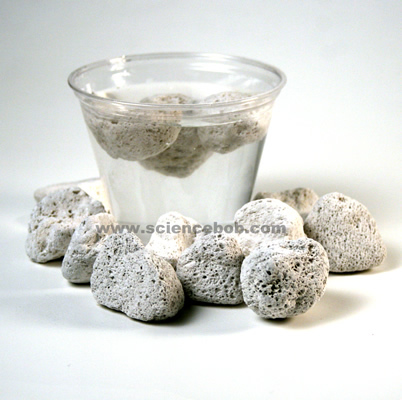 These are samples of real volcanic (igneous) pumice. They were filled with volcanic gasses when they were blasted from a volcano and the gasses were trapped as the rock cooled. The trapped bubbles allow the rock to float. A great demonstration of density or the perfect student take-home when studying rocks & minerals or density. Each rock is 1-2 inches (2.5-5 cm) wide. Sold in packs of 25. Not a lot of pumice dust after shipping.